When traveling to Grand Bahama Island, visitors should check out UNEXSO’s Open Ocean Dolphin Swim for a fun and unique dolphin swim experience. The company was the first to offer open ocean swims where you can interact with the dolphins in their own environment. 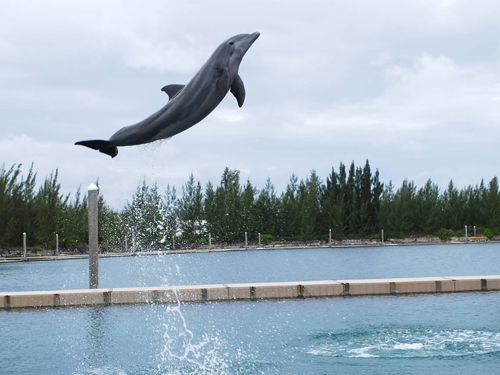 This unparalleled opportunity means visitors get to play with the dolphins in a lagoon where the animals feel at home. If you're traveling to the Bahamas, you're likely looking for some activities that are unique to the local islands. Swimming with the dolphins is a wonderful activity that allows for close interaction with the beautiful and intelligent animals. Those who are staying on Grand Bahama Island can check out UNEXSO for a very unique dolphin swim experience. 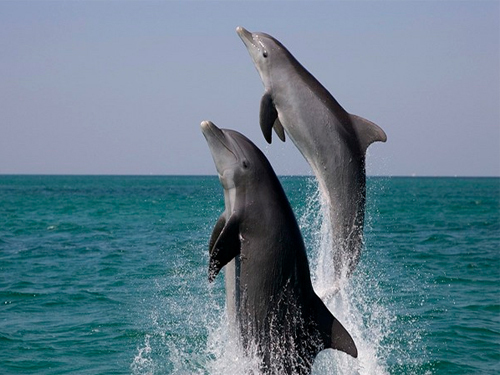 Their dolphin swimming tour in the ocean was the first in the world to combine this experience with the natural world. 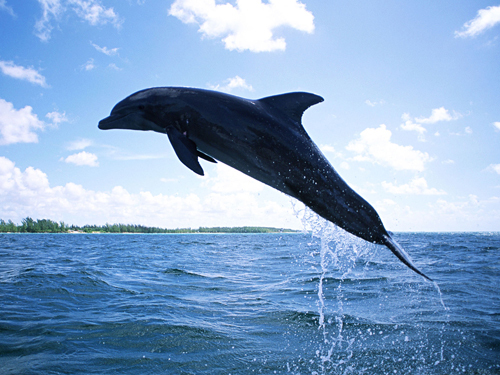 Seeing the dolphins in their natural environment is the best part of working with UNEXSO on Grand Bahama Island. You get a leisurely boat ride from the main island through either the canal system or the South Shore to a 9 acre lagoon where the dolphins love to hang out. 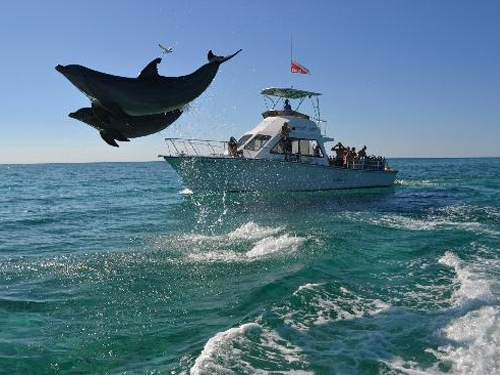 Visitors will have the opportunity to watch the dolphins during the boat ride. Once they reach the destination, the real fun begins. After a quick orientation with your dolphin trainer, you can head out into the water. The lagoon is home to 14 Atlantic Bottlenose dolphins and once in the water it's obvious how much the dolphins truly enjoy the play time with visitors. 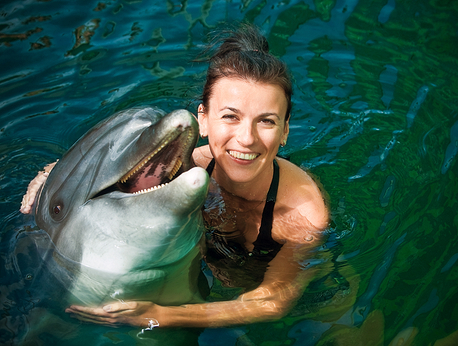 While interacting with the dolphin, you'll be swimming in crystal,clear water with a depth of around 20-25 feet. You can talk to the dolphins and ask them splash you, turn around or speak. This experience can be eye-opening as many people don't realize how intelligent these animals really are. Because they're in their own environment, they're relaxed and playful without the stress that comes with confinement. There is some important information to know before booking your dolphin swim. There is a height requirement of 55". Children who meet the height requirement but are under age 15 must have a parent or legal guardian with them. Everyone on the excursion must be able to swim and the tour is not intended for pregnant women. There is a maximum of 8 guests in the water at a time. Most importantly, enjoy your time with the dolphins and check this experience off your bucket list.